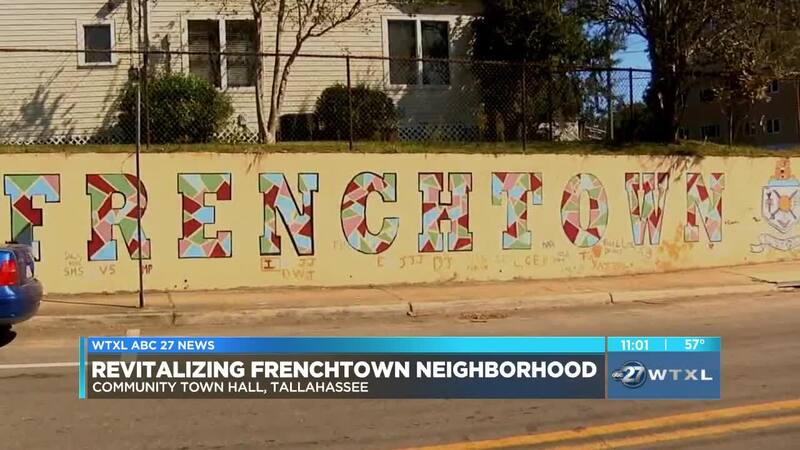 TALLAHASSEE, Fla. (WTXL) — It's time for change that's what the Urban League of Tallahassee is hoping to see in the greater Frenchtown backyard. This comes after the zip code 32304 which the neighborhood sits in was named the poorest in Florida. Coming together working to reduce poverty and crime in the neighborhood they live. Some greater Frenchtown residents say they want to see the area revitalized with new community centers and businesses replacing abandoned homes and unsafe streets. "Economics is the backbone of any community. Without businesses, there's no jobs, without jobs there'd be no housing. So business is the foundation of any community," said Linares Barber. The goal of Thursday's town hall find possible solutions to problems in their neighborhood. "To have better housing, street light, sidewalks, tutoring for our youth. We want to make this a better place for our children to live and grow up," said Curtis Taylor, President of Tallahassee Urban League. Curtis Taylor believes this neighborhood needs improved security, walk-ability on streets, and investment in youth programs and schools. The city has made upgrades over the years by demolishing six unusable homes and is moving forward with a project to build a mixed-use community and businesses center. "We want to make a difference in Frenchtown. We want to make Frenchtown a better and safer place to live," said Taylor. Hopefully lifting the Frenchtown neighborhood out of poverty and into new success. The City of Tallahassee is collaborating with the Community Redevelopment Agency on the Frenchtown Redevelopment project. It will build a mixed-use facility on Tennessee and Macomb streets. The city hopes this will lift the neighborhood out of a food dessert and help boost economic diversity.